I know this is a late entry. I was blacklisted after speaking favorably about my experience with free internships. Seems they don’t take kindly to that kind of talk… bartering time for experience. 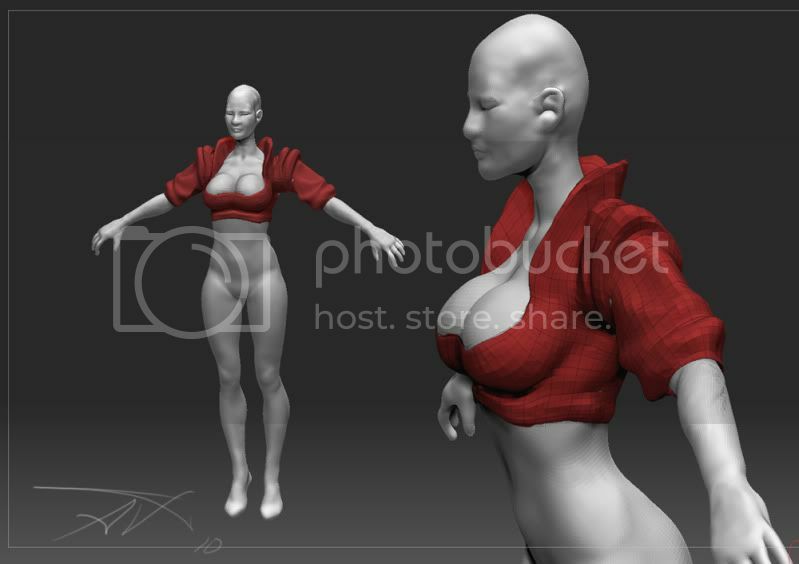 I learned Maya and Zbrush from Gnomon and DT DVDs. Well, now that I can post I decided not to let adversity stand in the way of my home study plans. I thought this challenge would be a great way to learn to do my first female forms. So here it is. 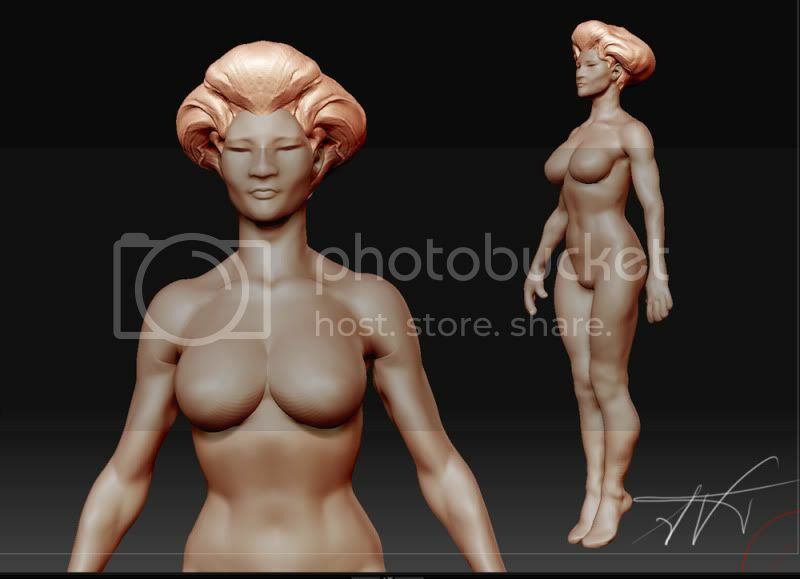 I decided to do a interesting Frazetta piece to learn my first 3D female form. Frank Frazette was a great artist that I admire and although I never had a painting course. I love his work, I can paint and consider him a Great American Fine Artist. I really wanted to do number five first but I thought “Shi” would make a better animation character when I am down modeling her. Here’s the greatest part of the process for me. I learned this from a new Gnomon DVD. 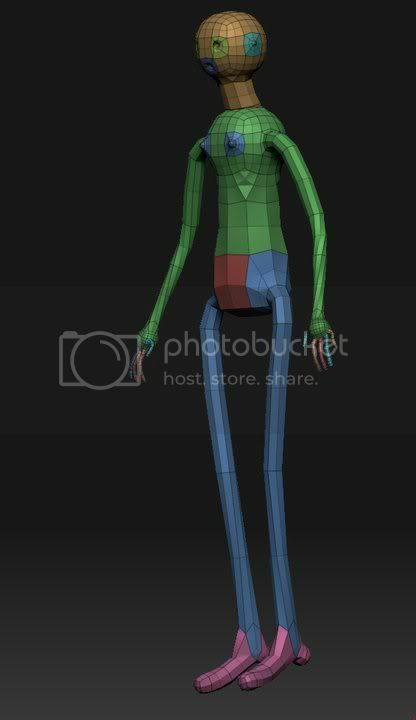 I did an evenly quaded mesh that I can use for future characters. The face needs work but I am happy to have a base mesh I could just as a starting point. I also learn workflow of using image planes. Another great workflow tip I learn is to Hide UV groups. Unfortunately I crashed and lost the model. So I save a lot but now I save more. Another thing I learned is that I will go off model quickly if I don’t use reference. Often I will spend time just experimenting which may not always be good when dealing with time constraints. Finally I geared the design back in to something that I like. Also, I see a great need to study anatomy. Ok here I finally used the picture references. I wanted to make her more Asian. 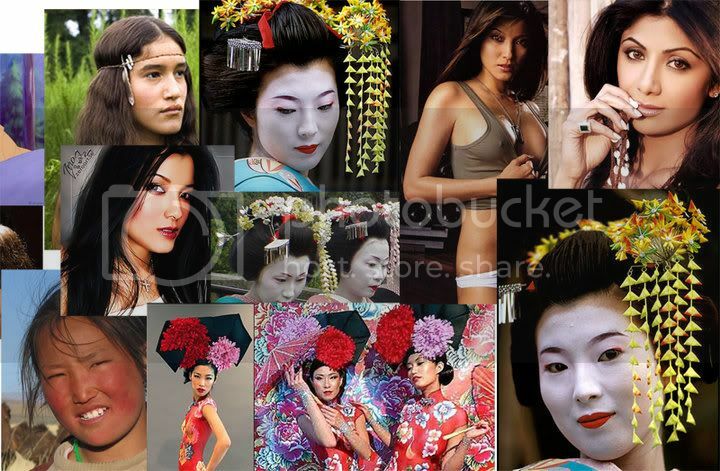 One of my ex GFs was Asian so I use a little bit of old photos in the face to help. I like it but all this has to be done quickly because I am late and have deadlines. Yes, I have to do the hands, my friend called the blue Mrs. Manhattan. LOL. I called it Shi Navî like Avatar. Haha. This has been a lot of fun. I know…to much symetry in the hair. I have to fix it when I get more time later, but I am behind schedule and now have to work on my paid projects. Some artist friends on facebook mentioned that she should be a little leaner…so I think I will go with it. I have a 3D group on FaceBook which you are welcome to join and post anything you like. Also, I have a heavy project deadline this month so I don’t know who well I will do with this. So Shi is slimer to be more of a nimble fighting machine. Let me know what you think. thanks. I fix the hands. Kitbashed it the old hands, by morphing it back in with Maya, GoZ, ZB. Could use some detailing and fixes that the top of the shoulder blades. Even if I don’t get to I want it to thank the artist who produced the current Female DVD, as will as a the other female stuff, I buy a lot of them. it helped a great deal with workflow and I learned a lot from them regardless. AVTPro I follow your work, keep it up, it’s a good start! Did you have copy some reference for her hairs? In my last project, I wanted to do the same hairstyle for my character but I’ve not find any good photo about that. Anatomy seems quite good in my opinion, probably the tryceps are too prominent? 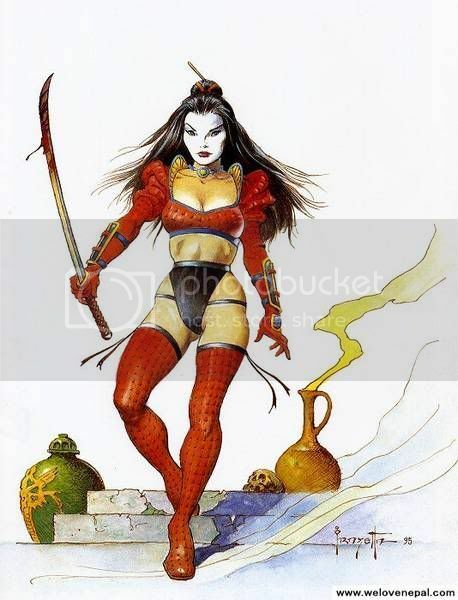 For the classic comic book Shi references, just google “shi comic art”. It will return the creator, and fan art. 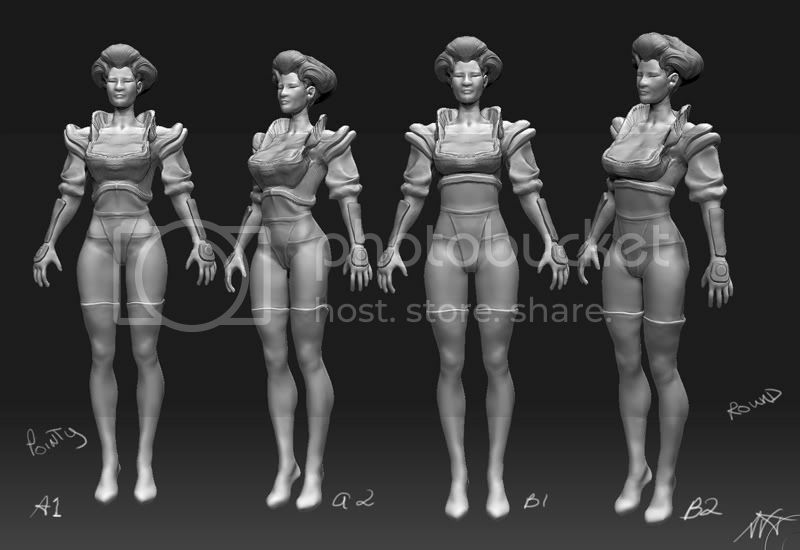 However, I’m going for a more Geisha hair look in the sculpt. This is the first block on the hair, the body is still a little back and forth. 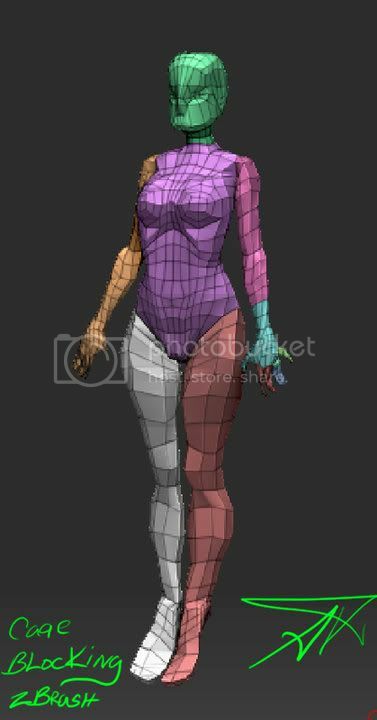 When I animate it in Maya I am going to do dynamic hair like the comic character. I prefer the thick more voluptous but I compromise since it’s not my character. Per your crit, yes, I wiil slim up the triceps when I clean up the shoulder blades. (thanks). Not that I see it, there’s definitely something wrong with that, pops out too much. Trying to decide what’s better Rounder or Pointy. I retopolized the jacket to separate it from the body but also I need better geometry around the collar/lapels. I am very happy I joined the challenge. I haven’t done this much on a character before. I can’t call it complete. It’s not posed but I happy I got this far. Yes, this has to be my last post today. Thanks regardless of the time constraints and drama this is a new character. 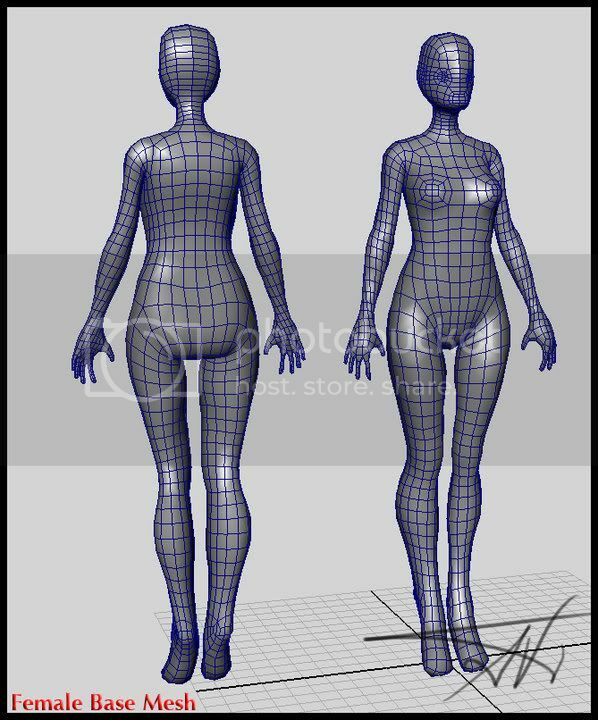 I hope to study female anatomy more. I always plan to retop the whole thing and rig it, then animate.